Water lily is a common gardening name that refers to plants in the Nymphaeaceae family. This family includes 70 species of are aquatic plants, most of which are found in temperate and tropical climates. 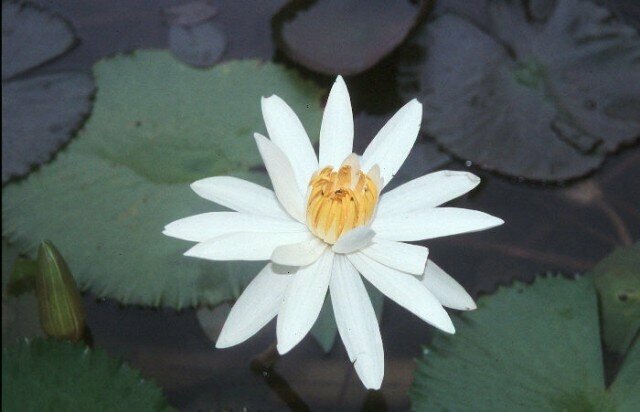 The two main categories of water lilies are known as hardy and tropical water lilies. Tropical water lilies bloom both during the day and the night, but hardy water lilies o­nly bloom during the day. Water lilies provide gardeners with an easy introduction to aquatic gardening. Although many aquatic plants are difficult to grow, water lilies are easy to plant and require a minimal level of care. They can be planted in container gardens or small ponds. Water lilies should be planted in shallow containers that are about two feet wide and half a foot deep. The containers should not contain drainage holes. Before you begin planting, use your finger to push two or three aquatic fertilizer pellets into the soil. Use a garden scissors to remove old or dead leaves before planting. The lily tuber should be placed near the edge of the container, with the growing end pointed down. o­nce the water lily has been planted, cover the soil in the container with a layer of of pea gravel. This will keep the soil in the pot after it has been lowered into the water. Carefully lower the container into the water at a slight angle. This will help any air in the container to escape. The container should be placed in between two and three feet of water.